Sugarmill Woods – A Citrus County man was bit by a dog on July 6 in the Sugarmill Woods area of Douglas and Linder streets. Police are currently searching for the dog described as a terrier mix, weighing approximately 15 to 20 pounds. The dog is white, with black spots. If the dog is not located the man will have to undergo a series of rabies shots, so police urge anyone with information to contact Citrus County Animal Services. Suffering a dog bite can be painful, but the risk of rabies adds a whole new dimension of fear to an already stressful situation. While few dog bites result in transmitting rabies to a human, the risk is serious as one of the ways rabies is contracted is through contact with saliva. Bites or attacks from rabid dogs can be fatal, which is why if a dog cannot be identified, health care providers will provide a victim with a series of painful and expensive rabies shots. 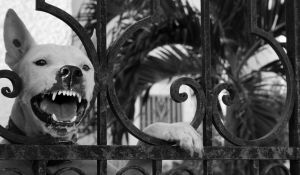 The Citrus County Injury Lawyers at Whittel & Melton can determine if a property owner may be responsible for your dog bite injury and rabies treatment. With approximately 4.7 million dog bites per year nationwide, the number of dog bite attacks demanding medical treatment has increased 15 times faster than the increase in dog ownership, according to the Centers for Disease Control and Prevention. In fact, insurers nationwide pay more than $1 billion in claims related to dog bites and animal attacks annually. Additionally, one-third of the money paid out through homeowners’ liability claims is associated with dog bite injuries. Dog bite victims can suffer many painful injuries, including deep skin wounds, disfigurement, loss of limbs, infections and scarring. Following a dog attack, it is best to secure evidence as quickly as possible. The Citrus County Injury Lawyers at Whittel & Melton work with investigators who can assess the attack site and preserve valuable pieces of evidence. We can work to immediately obtain the identity of the dog and its owner, photographs of the dog, witness statements, photographs of the location where the attack took place and as well as your injuries. If you or a loved one has suffered from a dog bite or animal attack in Homosassa, contact the Citrus County Injury Lawyers at Whittel & Melton online or call 352-726-0078.